A high-ranking Nuestra Familia gang leader from Salinas was arrested this week in an FBI takedown of one of the gang’s largest street regiments, federal officials said. Alberto Larez, 45, known in Salinas as “Bird,” was taken into custody Thursday morning at his residence in Red Bluff, a small town south of Redding. Federal agents also arrested 17 alleged members of the gang’s Sacramento regiment, including Vidal “Spider” Fabela, 45, another gang member well-known to law enforcement. Larez was one of two high-ranking Nuestra Familia captains who were released from federal prison in 2010. He and Henry “Happy” Cervantes, 48, both faced life sentences in the FBI’s sweeping Operation Black Widow conspiracy case in 2000. Instead, they received 10-year sentences in a plea deal negotiated by the gang’s leaders after problems surfaced with case’s star witness and his role in a murder at Cap’s Saloon in Salinas. Since then, law enforcement officials feared that when Larez and Cervantes were released from prison in 2010, they were given marching orders by the generals, who are serving life sentences in a Colorado federal prison. Those orders, police said, included re-taking control of the gang’s diminished street regiments. Police say the gang has been undergoing an internal power struggle because one group of leaders was sent to federal prison in Colorado after Black Widow, while a newer group of leaders in Pelican Bay is trying to exert its control over cities like Salinas. Larez and those arrested in last week’s raid all answer to the Colorado generals, federal officials said. Cervantes was arrested late last year and charged with murder in the stabbing deaths of two men found in a burning Oakland apartment. In addition to the arrests, FBI officials said Thursday’s operation involved the seizure of drugs, cash and vehicles, including about 25 pounds of methamphetamine, 40 pounds of marijuana, and cocaine, heroin and oxycontin; about $35,000 in cash; 12 cars, including luxury brands such as Lexus and Cadillac; and about 30 weapons as well as ammunition. All contents ©2012 MONTEREY COUNTY HERALD and may not be republished without written permission. A woman who had close ties to prominent Salinas and Watsonville gangs has been sentenced to nearly six years in prison following last year’s Operation Garlic Press Sweeps. The case of Rosa Martinez, 32, has been viewed by some in law enforcement as a classic example of the consequences of the supporting roles woman often play when they get involved with gangs. Martinez was sentenced last week to 70 months in federal prison after pleading guilty earlier this year to possessing methamphetamine with intent to sell, conspiracy, and aiding and abetting. After prison, she will be placed on four years supervised release, officials said. Numerous letters of support submitted by her attorney show a network of women, some relations and some not, who described her rough background and said Martinez has been working hard to overcome her drug habit even, as she awaited trial, earning a certificate of leadership in a parenting program for incarcerated mothers. Despite the pleas from supporters for leniency, on Nov. 15, Northern District Judge D. Lowell Jensen gave her the higher term that prosecutors had requested. Northern District spokesman Jack Gillund said Martinez will begin serving her sentence immediately. A former girlfriend and colleague of local Norteño and Nuestra Familia gang members, Martinez attracted the notice of local police and FBI agents ever since a violent schism among her lovers, family, and the gang took place seven years ago. Her life was not unusual for women romantically involved with gang members, although for years law enforcement tended to look the other way and focus mainly on the men. Local law enforcement officials say they need to learn more about the roles played by women associating with criminal gangs. But he said there still isn’t enough known about the forces that lead to women’s entanglement in that life. “There is a national trend that is looking at the role of women and gangs. There’s new research going on and I hope it informs law enforcement about their roles,” he said. Research has been funded by the federal Office of Juvenile Justice and Delinquency Prevention, including a study by Angela Wolf of the National Council on Crime and Delinquency looking at family and other factors that may help pull girls away from gangs and their crimes. “I hope (the research) shows us what we need to do to keep women out of that lifestyle,” McMillin said. Martinez became a target of local police surveillance in 2005, while she and a Castroville woman, Carol Huerta, were followed as they visited Nuestra Familia gang generals in Alameda County Jail. One of their colleagues, a young Salinas woman named Crystal Morado, was murdered on Hecker Pass Road in what gang investigators believed was a gang-sanctioned killing. As other homicides followed, Martinez ‘s cousin was eventually convicted of shooting her boyfriend in a hit ordered by her former lover, a gang leader. Huerta is now facing federal drug conspiracy charges in a Sacramento federal court, and Martinez was among more than 100 people, nearly half of them from Monterey County, who were arrested during Garlic Press’s five-county sweep targeting Norteño gang members and associates suspected of trafficking in firearms, drugs and stolen cars. 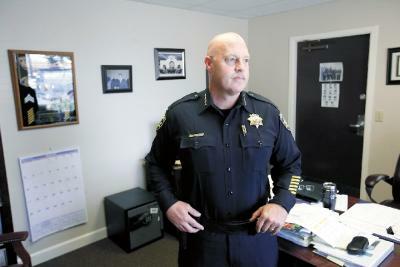 Agents at the Bureau of Alcohol, Tobacco, Firearms and Explosives began the investigation in March 2010 in collaboration with Gilroy police. By the time it culminated in October 2011, more than 400 officers from about 40 agencies were involved, including Salinas police and the Monterey County Sheriff’s Office. Some defendants faced federal charges while other have been tried in local courts. Last March, Miguel Gonzalez, 37, of Salinas, and Adrian Gamino, 31, of Morgan Hill, were the operation’s first defendants to be sentenced on the federal side of the multi-agency case. Both men received 20-year sentences. Herald Staff Writer | Staff writer Julia Reynolds contributed to this article. Johnny “Tiger” Torres was no angel, his cousin will readily admit. He had his run-ins with the law, but he had a wonderful laugh and a great sense of humor. Torres, 62, was killed on Sept. 4, shot in the head on his driveway on Soledad’s Dixie Street as the town wrapped up its Fiesta Days. As with the five killings that have taken place in Soledad during the past 16 months — the most recent one happened two weeks ago — no arrests have been made. Gang investigators are convinced the string of killings occurred because leaders of the Nuestra Familia prison gang have sent orders to settle old scores and execute gang dropouts. The brazen slayings began in March 2011 and have continued up to the fatal shooting two weeks ago of 34-year-old George Campa. All occurred in daylight. They were all near the victims’ homes, and in some cases in front of friends or relatives. Four of the five were killed on a Sunday, and two killings took place on holidays — one on Easter Sunday. The methods are chillingly similar. Police say the shooters walked up to the victims and shot them at close range, making sure they would not survive. Various federal and local investigators say the slayings are the manifestation of recent Nuestra Familia gang orders to “take care of” older defectors and others considered in bad standing with the gang — vendettas stemming from decade-old grudges forged during a civil war that ruptured the gang in Salinas. With few leads and no arrests made to date, the region’s most prominent criminal organization appears to be operating with impunity as officers struggle to stem the bloodshed. Most of the victims were living low-profile lives. Despite histories of drug use and shoplifting, they had demonstrated no gang involvement for 10 years or more. Their former gang ties, however, date to an exceptionally violent period in the late 1990s. Court and police reports show that the victims had stepped away from gang life during or just after the civil war schisms. It started on March 7, 2011, when Laurencia Hiracheta, 57, was gunned down outside her apartment building as she warmed up her car. Hiracheta had been a close gang associate for much of her life, but she walked away in 2001. Next came Torres’ killing while gang members staged a fight at Soledad Fiesta Days, apparently to distract the police. Torres’ former gang involvement was considered minor, but his home was known as a hangout for gang dropouts, which might have incurred the wrath of the organization, law enforcement officials say. Dario Melchor, 42, was next. He was barbecuing at home on Easter Sunday when he was shot and killed. A 62-year-old man with him was shot but survived. Law enforcement officials repeatedly say that witnesses make or break cases, and in crimes such as these, it’s safe to assume that those who saw anything — friends and relatives — are scared. Except for Avelina Torres, family members contacted for this story would not speak to The Herald. Other residents say they believe the Nuestra Familia is behind the murders and that more are coming. There is talk of a list of priority hits on older gang dropouts. Henry Campa, uncle to the latest murder victim, would only say that everyone wants the violence to stop. The fourth victim was Jesse Herrera, a 40-year-old shot to death June 3 as he was coming home from the store. He was shot multiple times and found on Nestles Road behind a shopping center. George Campa, 34, had just been released from a short jail stay on a probation violation and was headed home from a store when he was shot outside the house where he was staying, Chief Sills said. Gang associates from the area, who spoke to The Herald on condition their names would not be published, say the Soledad slayings were sanctioned by the gang’s brass in prison, and would require the approval of top local leadership. Stopping short of accusing him of ordering any hits, law enforcement officials identify Vincent Garcia, who hails from the turbulent civil war era, as the highest-ranking gang member in the Salinas Valley. Gang associates say he emerged after regiment commanders were swept up in operations Knockout and Street Sweeper during the past two years. Known to gang members as Big Chente, Vincent Garcia worked closely under Rico Garcia, one of the main instigators of the late 1990s civil war at around the same time. They are not related. Now in his mid-40s, Vincent Garcia grew up in Acosta Plaza in Salinas, and has recently lived in both Greenfield and Salinas. In 1999, he was sentenced to nine years in prison after six members of Rico Garcia’s gang crew were charged in connection with one murder and a failed plot to kill six others in 1998. According to court records, he was caught on an FBI informant’s tape urging the shooter to use hollow-point bullets because they would cause the most damage. In the summer of 2007, Vincent Garcia was among a group of Nuestra Familia statewide leaders who convened a meeting after the gang’s top commanders in Salinas were arrested under the FBI’s Operation Valley Star, according to law enforcement records. The purpose of the meeting, held in Tulare County, was to discuss the gang’s remaining resources. This week, another slaying in nearby Greenfield caught investigators’ attention as possibly being part of the pattern, though they have since abandoned that theory. Thomas Morales, 34, died when someone walked up and shot him and another man at close range around 10 p.m. Monday. Sills said detectives believe Morales was still an active gang member, and recent jail classification records back this up. “I thought, ‘This sounds like the same old thing because of his age,’ but now we don’t believe it is,” said Sills, who is now running both cities’ police departments. Under an agreement between Soledad and Greenfield officials, Sills took over the Greenfield department in March after months of turmoil. After a gang-related shooting that left an 18-year-old man dead and one seriously wounded in May, Greenfield police identified three suspects and arrested two. The third suspect, Richard Jerry Criado, was located in a Texas border town and arrested by U.S. marshals. It was Greenfield’s second murder of 2012, and the quick arrests prompted jubilation from residents who immediately praised Sills’ turnaround of the department. Sills attributes the rapid results in the May 8 shooting to a new tone set in the Greenfield Police Department. The Soledad City Council this week approved a plan to begin exploring the possibility of combining law enforcement agencies with Greenfield, King City and Gonzales. The chief has his critics, and some continue to wonder, in light of the Greenfield arrests, why none has been made in the Soledad cases. Sills defends his department’s record saying a case has been made against Armando Canchola, a Norteño gang member now awaiting trial for two murders. Canchola is accused of killing Victor Martinez, 25, on Oct. 6, 2010, and Cesar Alvarado Vasquez, 28, back in 2008. Avelina Torres said that when her father died, Johnny became her protector. She was about 17, and after she began working at an all-night restaurant on Soledad’s main street, Johnny would keep her company every night. Johnny was six years older than his cousin. A lifelong Soledad resident, Johnny lived next door to Avelina’s mother, and she would visit them both at the same time. After Avelina’s mother died more than 20 years ago, the visits became less frequent, she said. When Johnny Angel Martinez was released from prison just before Thanksgiving 2008, he was separated from his wife and jobless. He moved to Santa Cruz County, where he attended Cabrillo College and volunteered at Barrios Unidos and other organizations helping at-risk youth. The work was exhilarating and helped pull him through an otherwise tough time. He recalls that one day, while volunteering at an alternative school housed at Barrios Unidos in Santa Cruz, he counseled a member of his once-rival gang who had been caught with a knife at school. The youth asked Martinez why he would help his gang’s enemy. “Why do you even care about me?” he said. Martinez replied that he was not a gang member any more. “The reason that I care is because you’re … a human being,” Martinez said. Martinez not only convinced the boy to hand over the knife, he said he also talked him into staying until police arrived. The contrast between the boy’s behavior and his own stung. As his counseling career began to take off, the Williams Road slaying continued to haunt him. He spent a year debating whether to follow his own advice and turn himself in. He made excuses, he says, telling himself he could not willingly abandon his children, leave them fatherless while he served a long prison sentence. Why should they suffer for his past? But he also wanted to set a moral standard for his children. Opposing thoughts nagged as well: If his role in the slaying was discovered, would it bring shame to the community organizations he worked with? If he ever decided to remarry, would the police come knocking and end the dream? But more than any of those things, something deeper nagged at Martinez, a voice that wouldn’t be silenced, telling him he had to face what he had done. Not because it was the right thing to do, not because he was afraid of being arrested, and not because he was overwhelmed by guilt. Without fully understanding why, the inner voice simply told him he had to. The act of surrendering was, he would later realize, what a normal person with a normal sense of responsibility would do. In the summer of 2010, he spent several days meditating on the notion of sacrifice — “being able to give up everything that I know and I love” — while sitting in a park on Acacia Street in South Salinas. Then one August afternoon, he stood up and began walking. As he made his way north along Main Street toward the Salinas police station, it seemed as if every temptation came along to try to turn him around. A car full of relatives pulled up beside him. After that, the cousin he lived with drove up. He bummed a couple of smokes before he passed the Steinbeck Library on Lincoln Street, two blocks from the police station. Once he faced the mirrored-glass doors, he took a drag, set his cigarettes carefully on the edge of a concrete stair, and stepped inside. Police interview transcripts show he at first tried to take the full rap, claiming that he was the shooter. “So what’s goin’ on?” a detective asked as Martinez took a seat. “I was involved in a homicide,” he said. Martinez hadn’t thought at all about what he would say. His aim had simply been to make it there without turning back. He tried to convince the detectives he was the trigger man and could see the cops knew better. They had other sources, they said. The officers did believe him when he at last admitted he was the driver. Martinez whistled as the officers cuffed his hands behind his back. While Martinez was confronting his own past, the gang had not forgotten his mother’s brazen act of testifying against its members a decade earlier. Meanwhile, Martinez was detained on parole violation, but by the fall of 2010, he faced a felony murder charge. The felony murder rule holds all participants in a felony crime, such as a robbery, responsible for any homicide that results no matter their role. In sentencing terms, it was the same as if he’d committed a first-degree murder. “This really didn’t come as a big shock to me,” Villarreal says. Little by little, Martinez began to understand why he had to turn himself in, why justice demanded it, the community expected it and why the victim’s family needed it. He says he even began to understand the rationale behind the felony murder rule. His mother, who had quietly moved from her secret location in the Central Valley to South Monterey County, visited and wrote to him at the Salinas jail. She told her son she was very proud of him. During visits, she made him laugh and he began to believe their strained relationship was on the mend. Then one day last March, Martinez heard a quick announcement of breaking news on the jail television. A 57-year old woman was killed in Soledad. His thoughts raced. His mom was 57. She lived in Soledad. Nah, he told himself. It isn’t her. Straining to watch the five o’clock news through his cell door tray slot, he heard his mother’s name. She had been shot and killed that morning while warming up her car. A deputy took him to call a relative but no one answered. He spent the night in his cell without knowing anything more than what he’d seen on the news. He says he’s grateful to the classification officers who let him listen to his mother’s memorial service on a jail phone. He dialed the phone of a relative who held it next to a speaker. He is convinced his old gang is behind her death. This fall, he accepted a plea deal that offered 15 to life for a murder he did not commit but felt responsible for. He took it, even though it meant pleading to a charge of second-degree murder, saying he did not want to put Javier Tovar’s family — and taxpayers — through the agony of a trial. At his Dec. 1 sentencing hearing, he asked Tovar’s relatives, who were in the courtroom, as well as the residents of Salinas for forgiveness. “I am sorry beyond belief, beyond any comprehension,” he said. “I would think of how unfair it was that I was free, that I was alive. It didn’t seem right. He was, he told the court, especially moved by a letter written by Tovar’s sister that mentioned the way he smiled. Martinez says he has no regrets about surrendering, despite evidence indicating he might never have been charged if he hadn’t. His plans now revolve around making the most of his time in prison. He’s eager to set up more men’s programs and perhaps conduct academic research behind the walls. “He has always been a leader,” says Villarreal. Despite the stacks of letters and commendations he’s received for what many describe as doing the right thing — Martinez says he does not consider himself brave or heroic or exceptional. “What I did is not courageous,” he insists. “This is expected behavior of anyone in our society. All contents ©2011 MONTEREY COUNTY HERALD and may not be republished without written permission. Editor’s note: On Dec. 1, 2011, Johnny Angel Martinez , 34, was sentenced to 15 years to life after turning himself in to police for his role in a Salinas murder 10 years earlier. This two-part series tells the story of Martinez’s decision to face justice. He told the officer it had to do with a homicide he was involved in. No — it was one he was involved in, he said. She asked him to wait. He told her he would be right outside finishing his cigarette. Martinez knew it could be one of the last smokes he would have for years, maybe forever. A voice inside that he had been resisting for a year told him this was the necessary conclusion to a journey that began almost a decade earlier when he was ordered to help his gang kill his own mother. It was a journey that would lead him on a difficult search for redemption and end with a new start on life that he knew could only come from facing justice. The 34-year-old Martinez says he was just 5 when he saw a junkie die of an overdose in his mother’s home. “Johnny had it real hard,” says his childhood friend Angel Botello of Martinez’s upbringing in Salinas and the Central Valley. Martinez said he never even saw a picture of his Puerto Rican father. His mother was a heroin addict and her home frequently hosted other addicts. One of young Johnny’s first jobs was running and getting the spoon and the ice, tools his mother used for treating overdoses until paramedics arrived. Other times he showed novice users how to shoot up while the grown-ups laughed and called it cute. When he played alone, he recalls, he pretended to inject a syringe into his arm. Miraculously, he never shot heroin in his life. A year later, he says, his mother was boosting him through open windows so he could help her rob houses. He was told that a good man provides for his family, even if that means stealing and robbing to do it. Largely because of his mother’s addiction, he went in and out of foster homes and seemed to live two lives. Throughout his childhood, Martinez says, he was a straight-A student who eventually moved into advanced placement classes. He was a brainy boy who skateboarded and listened to heavy metal. Former probation and parole officer Dan Villarreal, now director of the Strengthening Families program in Salinas, has known Martinez since he was 12 years old. “Even during his incarceration in juvenile hall, group homes or the California Youth Authority … many staff wondered, ‘What is this kid doing here?’” Villarreal says. Martinez says his mother had her own expectations for him. Known to everyone as Chuca, she would brag to friends that one day her son Johnny Angel would be an important gangster. The family lore was that Chuca was so dedicated to the gangs of Salinas that while she was in labor, she had a relative drive her from the Central Valley so that Johnny could be born in Salinas. He was 14 years old when, in June 1992, he held his friend Prescott Torrez’s head in his lap as the boy lay dying. He had wandered into the crossfire of rival gangs outside the Breadbox Recreation Center in East Salinas. Prescott, 15, would be the first of more than two dozen friends Martinez would see murdered over the years. Through his teens, Martinez graduated from stints in juvenile hall to sentences in the California Youth Authority and then prison, from throwing punches in the park to brandishing guns. He also started using drugs, smoking pot and later using cocaine and methamphetamine. As he ascended the gang’s ranks, he was eventually ordered to kill homeboys who had been deemed “no good” by the bosses, but fate always seemed to intervene at the last minute and the hits never happened. By his early 20s, his role in the gang had become that of an ambassador. He was good at keeping up morale, directing younger gang members, and coordinating drug sales. He convinced himself he was helping promising youngsters by getting them real jobs. He shared his apartment, his clothes — and his guns — with them. On Memorial Day Weekend in 2000, Martinez spent a day at Lake Nacimiento with a couple of gang associates. He says the others fell asleep as he drove them back to Salinas. Near the fire station on Williams Road, one abruptly told him, “Pull over,” and he did so. Martinez says he heard the shots but never saw what happened. When his companions jumped back in the car, he says, he drove them away in silence while sirens blared behind them. He later learned that Javier Tovar, 23, had been shot in the back. Authorities have not named Martinez’s alleged accomplices, nor any other suspects in the crime. He recalls feeling angry, not because an innocent man was killed, but because he was now wrapped up in a crime he had not consented to. He did his best to forget what happened, push it out of his mind. A year later, he was in prison again at the same time an entire gang crew in Salinas was charged in connection with a murder at Cap’s Saloon. He and his colleagues arranged to meet at a pizza parlor on East Alisal Street. Once inside, Martinez noticed the others ordered sodas, not beer. This meeting was going to be serious. The boss asked if he knew what was going on. “With what?” Martinez answered. The table fell silent, he says, until another man spoke up. “Your mom is testifying and turning evidence,” the man said. Martinez had no idea that she was involved in any of the gang’s business, and his first reaction was anger that his mother had been selling dope for the gang and no one had bothered to ask what he would think. The organization’s leaders weren’t so heartless as to ask Martinez to do it himself, and they promised his mother wouldn’t be hit in front of family. But the gang did need his help. Chuca was in a witness relocation program and only Martinez could tell them where she was. They asked for a full report on her location and habits. Although Martinez readily said yes, something made him wonder if he would really go through with it. He’d been a prominent member of the gang, but he’d never killed anyone, much less a blood relative. It would take years before he would understand that his mother had committed a truly courageous act, that despite all she’d done to push him into the gang, she was the first with the guts to stand up to it. Meanwhile, as a newly minted member of the gang’s upper echelon, Martinez had to prove himself by helping his “brothers” carry out their mission. He would have to choose which family deserved his loyalty. Today, Martinez can’t recall the hours after the order was given, whether he even ate that day or not. Yet something kept him from reporting back to the gang about his mother’s whereabouts. It was then, too, that he learned he was about to become a father. He says the decision to leave his gang so soon after he’d joined its elite circle came in small steps. It didn’t happen overnight, and he realized he hadn’t made the decision, it was made for him — he was angry because leaders decided to “tax” young street gang members 25 percent of their criminal income. He was about to get married and become a father. And the gang had just ordered him to help kill his mother. Despite so many good reasons to get out, walking away would feel like a failure, as if he’d committed a deep betrayal. He told himself he was a gangster, so tough he could go through with a hit on his mother, but always, he says, “some sliver of goodness” stopped him from following through. It was the impending birth of his son, he says, that pushed him to a decision. After Martinez decided to leave his gang for good, the road to becoming “normal” was far from easy. In fact, it was pretty bumpy. He was grateful the gang’s leaders respected his decision to focus on family. As long as he didn’t snitch or compete with their drug business and other crimes, they left him alone. After his second child was born, he turned once again to his drugs of choice, cocaine and methamphetamine, when his relationship with his wife began to unravel. By 2006, he landed back in prison after an argument with his wife turned physical. This time, he decided, he had to make permanent changes. He underwent counseling in domestic violence and relationships, parenting and substance abuse. Soon he was trained to facilitate nonviolent conflict resolution. He co-founded “Freedom and Choice,” a men’s accountability group for inmates at the state prison in Jamestown. He was a trained counselor for the “Seeking to Educate Endangered Kids” program, which provided mentoring and counseling to teens on probation. He discovered that the leadership skills he’d developed while in the gang were now useful for helping others get their lives together. He earned commendations from the associate warden and has a pile of certificates to prove it. He earned a new moniker, “Justful Johnny,” because he had a reputation for being fair and holding himself accountable. While he was locked up, he read a book about how to find happiness. It offered simple guidelines: not harming others; obeying the law; setting a good example. Things normal people take for granted, he told himself. He began to consider whether he might one day be able to live a normal life. He would soon discover that the more his prospects began looking up, the more that murder he’d been a part of would haunt him. Read part two: While he is in jail awaiting trial, Martinez overhears a news report that his mother has been shot and killed. He will listen to her memorial service on a phone in jail. Nearly seven years ago, three Central Coast women caught the attention of local detectives who noticed they were regu­larly driving north to a down­town Oakland jail. The investigators discovered the three were visiting top Nuestra Familia generals — the gang’s highest-ranking leaders — who were awaiting sentenc­ing in a federal racketeering case. Although two of the women ended up marrying the men they visited, these romances do not have happy-ever-after endings. One woman was murdered in a plot investigators say was orchestrated by the general she married. Another was arrested last spring and faces life in prison. The third, who had been the target of police and FBI surveil­lance for years, was Watsonville resident Rosa Martinez. A girlfriend and colleague of local Norteño and Nuestra Familia gang members, Martin­ez, 31, has been of keen interest to local police and FBI agents since a violent schism unfolded six years ago among her lovers, family, and the Nuestra Familia. Her story exemplifies the crit­ical — and often tragic — sup­porting role played by women in California’s current version of organized crime. Like many women seriously involved with gangs, law enforcement always seemed to pass Martinez by whenever the big gang indictments came down. “Women tend not to show up on the radar real quick, so they were being used extensively by the gang regiment,” said Marina police Chief Eddie Rodriguez, a former Watsonville officer and member of a task force that was tailing the women. Martinez’ under-the radar days ended this month when she was arrested as part of Operation Garlic Press, a multi-agency investigation based in Gilroy that culminated in more than 100 arrests in five counties on Oct. 14. Martinez, who has lived in Gilroy and Watsonville, now faces judges in two different courts. In Santa Clara County, she’s in jail on felony charges of auto theft and receiving stolen property. In federal court, she has been indicted on two counts of conspiring to distribute methamphetamine and possession of drugs for sale. Like her two colleagues, Martinez was romantically involved with one of the gang’s top guns. In the Norteño gang culture, Rodriguez said, girls and women aren’t “officially” allowed to become members — but because police have historically tended to overlook them, women have come to play increasingly important roles in helping the gang conduct its business, from relaying messages to delivering drugs. 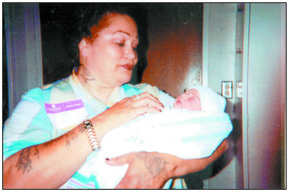 When members of Rodriguez’s multi-county Central Coast gang task force took notice of her in 2004 and 2005, Martinez was the girlfriend of the officers’ top target, a Watsonville gang regiment leader named Oscar Cabrera, also known as Baby Joker or BJ. Her cousin, Anthony Rubalcava, known on the streets as Tigre, was considered BJ’s right-hand man. Martinez and two other women — Carol Huerta, of Castroville, who was close to the gang’s highest leaders, and Crystal Morado, a 19year-old from Salinas — became task force surveillance targets. In 2004, the officers began watching Morado as she visited a general in the Oakland jail, James “Tibbs” Morado. Whatever her motive, the marriage was doomed. 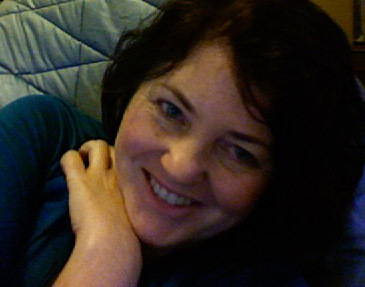 In January 2005, months after her whirlwind visiting-room romance blossomed into marriage, Morado, then 20, was found shot to death in a parked car on Hecker Pass Road, just east of the line between Santa Cruz and Santa Clara counties. The task force officers suspected that BJ and Tigre, as the local regiment brass, might have been involved. California prison investigators later found a message smuggled between gang leaders indicating Crystal’s husband, the general called Tibbs, had sanctioned the hit. The note explained that she was killed because she was no longer “functioning” for the gang. Friends put it more simply: she’d wanted to spend more time with her infant son and had tired of delivering messages and money for the general and his cohorts. A few months later, Martinez had become Tibbs’ messenger, and she visited him at the Oakland jail. In April, Huerta traveled with her and sat down with Nuestra Familia general Joseph “Pinky” Hernandez. Their visits took place with glass between them. Police detectives who observed them noticed the generals took care to guard their language as they spoke. The officers were on the lookout for subtle or coded ways of communicating gang orders. 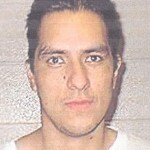 In June 2005, Watsonville police stopped Martinez on a traffic warrant. Officers found six blank money orders for $500 each, along with the prison mailing address of David Cervantes, the gang’s highest-ranking leader in Pelican Bay State Prison. A seventh money order was made out to Cervantes. Her wallet also contained a handwritten note addressed to BJ, saying Tibbs believed BJ wasn’t paying enough attention to recent communications from the gang. To the task force officers, the discovery meant Martinez had become a courier for the gang’s highest-level leaders, filtering messages to the streets while delivering “tax” money to generals’ prison trust accounts. But the most intriguing find was a small digital camera among Martinez’s belongings. In it were images of someone holding a large handwritten note against a glass window. The face wasn’t visible, but the clothing looked like an Oakland jail uniform. Officers decided the piece of paper contained a general’s message to gang members in the Central Coast. Martinez was released and she soon dropped by the jail again. This time the guards were ready. When their metal detector went off, Martinez as usual told the officers it must have been her underwire bra. A more thorough search by female guards revealed that Martinez had tucked a new digital camera into her bra. She was banned from visiting the jail. Her travel companion, Huerta, meanwhile, had married the general “Pinky” Hernandez. Authorities never determined if the two were legally wed or had simply declared themselves husband and wife, but according to court testimony, the position gave Huerta authority among gang leaders in Salinas and Castroville. Gang members said they rewarded her with free drugs and rent money as an honored general’s wife. By fall, Martinez had become romantically involved with another man — Mark Escobedo, one of BJ’s underlings. That sticky situation, combined with drug debts owed, made Escobedo believe he was in bad standing with the gang. He was also a police informant. On a September day in 2005, Escobedo told his law enforcement handlers that BJ had ordered him to collect drug money later that night with Tigre and another gang member. Escobedo told the officers he was afraid the gang would kill him during the drive over Hecker Pass Road, but at midnight, he slid into a car seat in front of Tigre, seeming to accept his fate. When they returned from Gilroy, the car pulled to a stop not far from the spot where Crystal Morado was killed. Escobedo saw the muzzle flash and heard the blast, but he never saw the gun. He was shot again in the back as he tried to run away. Martinez learned early that morning that her new boyfriend was in a hospital clinging to life. He had been shot by her cousin, in a hit arranged by her former lover. For women involved in gangs, the lines between love, family and crime are often blurred. Angela Wolf, a researcher focusing on girls’ and women’s issues at the nonprofit National Council on Crime and Delinquency, said relatives and boyfriends often draw girls into gangs. “Typically, they have a family member or a boyfriend already involved,” she said. Wolf is in the process of launching the nation’s largest study to date of girls involved in gangs, with grant funding from the U.S. Department of Justice. She and fellow researchers plan to interview more than 100 girls in Salinas, Los Angeles, Oakland, Richmond, Sacramento and other California cities. Violence in the home also appears to be a major risk factor, Wolf said, especially for girls, who may join seeking safety and protection — even from their own home. One young woman from Monterey County, who asked not to be named in this story, agreed that gang involvement often starts with romance. “Like in any relationship, you’re going to show you’re loyal to your guy,” she said. She said the reasons young women get into gangs are as varied as the girls themselves. Her own case was “generational,” with gang members in her immediate family. Some girls get into the drugs, she said. Others crave respect. Some may even come from strict, well-off households but seek the excitement and danger of being around gangsters, she said. Most men and women, she points out, simply outgrow their gangs when family and responsibilities take precedence, although there’s always a small group of what she calls “legacy gang members,” those who stay involved even as they age into their 20s, 30s and beyond. She said most girls do not understand what they’re getting involved in when they join gangs. Eddie Rodriguez says law enforcement is now taking a closer look at women, as gang men increasingly target and court females they think will be useful. As for Rosa Martinez, loyalty to the gang lifestyle apparently won out over love. Six years after the regiment’s attempt to kill her boyfriend Escobedo, police said she was still in the mix. Several weeks ago, arrest warrants were issued for her on drug and auto theft charges under Operation Garlic Press. She was picked up earlier this month and remains in Santa Clara County jail in lieu of $25,000 bail. The Central Coast task force that investigated Martinez, Huerta, Tigre and BJ was shut down in 2006 as the FBI took over the cases. Escobedo survived his injuries and eventually testified against Tigre, who last year was sentenced to 55 years to life in prison. In March 2006, BJ disappeared the day after a Watsonville homicide in which he was the suspect, and he remains on Santa Cruz County’s most wanted list. Police learned he was later hiding in Mexico with Robert “Bubba” Hanrahan, a Nuestra Familia crew leader from Salinas who is now serving a 13-year prison term and was indicted this year on federal drug charges. 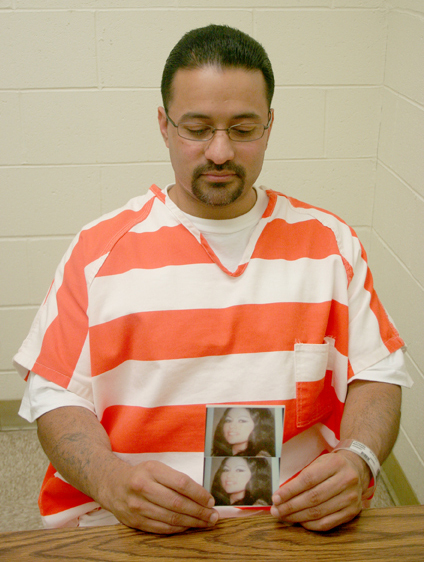 After Escobedo was shot, police learned that Carol Huerta had married her general, “Pinky” Hernandez, and later visited him in a Florence, Colo. supermax prison where the gang’s brass are now housed. Last spring, Huerta was indicted on drug conspiracy charges. She faces life in federal prison. Martinez has been ordered to appear in federal court on or before Nov. 3, the same day she’s scheduled to appear before a Santa Clara County judge. Women have been regular targets of gang violence in Monterey County, but few cases have been solved. 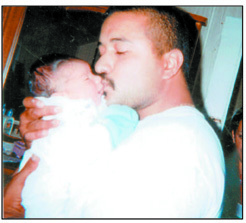 Jan. 31, 2005: Crystal Morado, 20, of Salinas, was found shot dead in a car parked on Hecker Pass Road. May 20, 2006: Tina Marie Peña, 23, of King City, was found shot multiple times on Wildhorse Road off of Highway 101. Oct. 23, 2007: Two women, ages 21 and 25, were shot in the head in a Motel 6 room in Salinas. Amazingly, both survived their injuries. Sureño gang member Heriberto Ceja, 21, was named as a suspect and remains at large. Dec. 5, 2009: Yliza Martinez and Veronica Gallegos, both 30, were found shot to death in a room at the Pueblo Inn in Greenfield. A 15-year-old boy was charged in the double homicide and police are still seeking Francisco Alejandro Tamayo, 18, as the alleged shooter. Mar. 3, 2011: Greenfield resident Yessenia Ponce Chaidez, 25, was found shot and stabbed to death near a burning car in an industrial section of Salinas. Mar. 7, 2011: Laurencia Martinez Hiracheta, 57, was fatally shot from behind while warming up her car in Soledad. SACRAMENTO — A musician’s ballads of the travails and glories of narcotics trafficking became a focal point this month as the government won its first conviction in a massive drug and gang racketeering case that swept up more than two dozen defendants, many from Monterey County. In spring 2007, Operation Valley Star netted 26 alleged members and associates of the Nuestra Familia, or NF, gang in Monterey County and California’s Central Valley, who were charged with dozens of criminal counts revolving around a purported gang conspiracy to sell drugs throughout the United States. Among those picked up was singer-songwriter Jose Angel Villaseñor. Almost from the start, Villaseñor asked to be tried separately from others in the vast federal case. His co-defendants are scheduled to begin trials a year from now. In Villaseñor’s case, which was heard last week in Sacramento, a federal judge prohibited any mention of gangs or the Nuestra Familia. Other than the drug deals, there is no evidence Villaseñor was involved with the gang, and he has never been charged with any gang activity. But others in the case are documented as top leaders and associates of the Nuestra Familia from Monterey County. At one point, a prominent NF member was caught on tape saying that for every pound of drugs sold, $200 would be sent to NF “banks” in prison, benefiting the gang’s leaders. The voice on that tape was former Castroville resident Mario Diaz, for years a top target of FBI agents. In a dramatic turnaround, Diaz has now become a witness for the government in its case against Villaseñor. Although the government once dubbed the case’s central conspiracy “The Mario Diaz Drug Trafficking Organization,” prosecutors now acknowledge they sat down with Diaz for a “proffer session” for cooperation only days after he was arrested. Details of that deal are not public, but people close to the case say Diaz has already entered a secret plea agreement. Last week, Diaz testified that he and Villaseñor bought and sold drugs from each other and that Villaseñor even sold Diaz a customized car with a secret compartment to hide drugs — claims backed in part by recordings of wiretapped phone calls. But much of the testimony in Villaseñor’s weeklong trial centered around whether he was in reality a drug dealer or a performer. Originally from the town of Canatlán in the Mexican state of Durango, Villaseñor became a singer-songwriter who tried to make it in the competitive San Francisco Bay Area music scene. Villaseñor would often serve as the band’s leader and deal with bookings, said his occasional bandmate Saul Coronado Jr., who sings and plays keyboard as a solo act and with other groups. “He had more love for the music than the other guys,” Coronado said. Los Fuereños’ play list was a mix of dance tunes and original ballads composed by Villaseñor. Some were narco-corridos, an immensely popular genre of Mexican music whose lyrics tell of drug traffickers’ victories and troubles, something akin to gangster rap in the U.S.
Made popular in the 1970s by the San Jose-based band Los Tigres del Norte — in whose songs the narcos often meet with violent deaths — narco-corridos have since been banned from radio stations and nightclubs in some Mexico states. But not in the U.S.
“Whatever sells, that’s what we play,” said bandmate Coronado, who testified at Villaseñor’s trial. At some clubs, he said, the band wouldn’t be able to play at all if singers couldn’t satisfy the crowd’s demand for narco-ballads. As evidence of Villaseñor’s involvement in Mario Diaz’s drug conspiracy, Assistant U.S. Attorney Jason Hitt offered up 20 wiretapped phone conversations in which the two use coded language to discuss and plan a number of drug deals. Diaz testified that two of those deals took place on the band’s bus, one with Monterey County resident Gerardo Mora. In another, Diaz said he asked Salinas NF associate Juan “Wino” Gallegos to pick up drug sale proceeds from Villaseñor in the bus, which was parked in Fremont. Gallegos left with the cash, he said, along with marijuana he bought from part of the proceeds. But in a search of Villaseñor’s residence, FBI and state narcotics agents found no drugs or drug residue, although they did find what they called a drug-packaging area stocked with plastic Glad sandwich baggies, rubber bands, acetone and the dietary supplement MSM, which prosecutors said can be used to “cut” drugs for sale. At one point, Diaz said, he needed a special car to transport drugs to Ohio, where a kilo of cocaine could fetch $4,000 to $6,000 more than in California. According to testimony, Villaseñor charged Diaz $6,000 for a Mazda Millenium fortified with an X-ray-proof secret compartment that could hold eight kilos of cocaine. Diaz said it was used to do just that when a woman from Salinas drove with a companion to unload the drugs in Ohio. As surveillance of Villaseñor continued, federal agents soon identified him as the man whose stage name was “El Teniente,” Spanish for lieutenant. When he was arrested, agents found a business card in his wallet that read El Teniente de la Sierra (The Lieutenant of the Mountains), a card prosecutors said bore one of the wiretapped phone numbers next to a photo of Villaseñor in a cowboy hat. But in a surprising appearance on the last day of trial, Villaseñor’s bandmate Coronado declared under oath that he was El Teniente. “It’s my artistic name,” he said, explaining that Villaseñor had considered using the name for a little while but decided to let Coronado have it. El Teniente’s MySpace site shows Coronado decked out in his cowboy finest, and several of Coronado’s albums and YouTube videos bear that name. The face on the card that agents found in Villaseñor’s wallet, he said, was also his. He also testified he was the listed owner of one of the cell phones prosecutors said belonged to Villaseñor, though surveillance agents reported they had seen Villaseñor answer it. Coronado, however, testified that various band members often answered that and other wiretapped phones, as he pointed to the same phone numbers listed for booking calls on the band’s posters and CDs. For the jury, such conflicting testimony apparently did not overpower what prosecutor Hitt called the “overlapping layers” of evidence that centered on the 20 taped phone conversations. Last Thursday, jurors took less than two hours to find Villaseñor guilty of three counts, one of conspiring to distribute methamphetamine, cocaine and marijuana and two of using telephones to carry out the acts. Villaseñor faces 10 years to life in federal prison. He is scheduled to be sentenced Jan. 25.